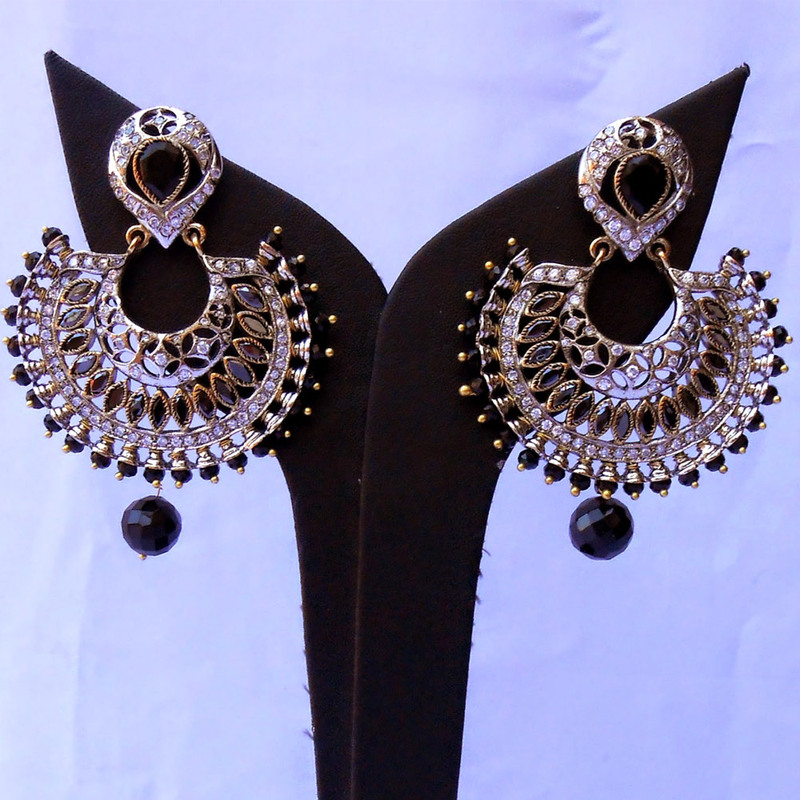 Black & white can have a far more dazzling impact compared to any of the colors, which becomes quite evident through the effect imparted by Read More..the black & white fashion earrings on all its onlookers. Thus, anyone looking to create a dazzling look will find the sharp contrast between the black stones and the silver hued brass body to be perfect for their purpose. Moreover, the large black gem hanging from the bottom of the piece makes the look even more dramatic while the glinting white stones make everyone’s eyes dazzle. Show Less..